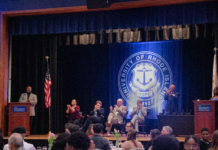 The University of Rhode Island Campus Police are investigating the recent thefts of student-owned laptops in the Robert. L. Carothers Library. 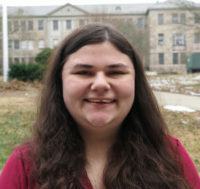 According to Boughida, many instances of theft occurred on the third floor, the quiet area of the library. “Everywhere, nationwide, thieves target where people won’t watch their stuff,” said Boughida, who thinks that people may be less likely to secure their belongings in a busy area, where many people could catch a thief. In addition, Boughida also noted how all but one of the stolen laptops were Macbooks. He theorizes this may be because Macbooks tend to have a higher value than other kinds of computers. The latest theft was not a Macbook, which made Boughida wonder if the thief is changing their tactics. Shay said that his computer was stolen on a Friday afternoon a few weeks ago. Before this, he knew about the incidents, but didn’t personally know anyone affected by them. 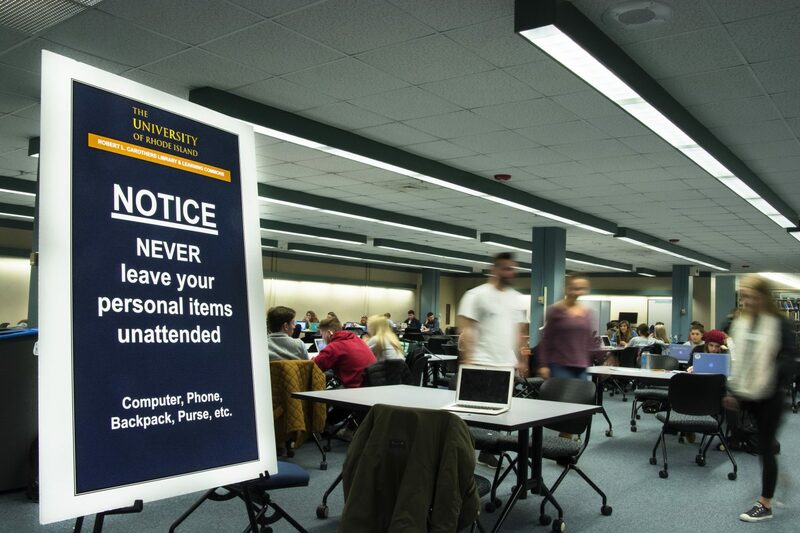 Campus Police Maj. Michael Jagoda estimates that about eight to 10 students have reported having their laptops stolen from the library since the end of October. URI communications sent all students an email at the beginning of the semester warning students to secure their personal property. Theft of electronic devices is a fairly common campus crime. “There have been periods of time, not at the library, but certainly at residence halls, where we’ve had increases in activities like this,” said David Lavallee, assistant director of Marketing and Communications. However, the theft of multiple devices in the library being stolen over a short period of time is odd. “It’s unusual. Especially with the amount of people in the library at the time when these incidents are happening so it’s alarming to us,” said Jagoda. The Campus Police are working to find the culprit and the stolen laptops. Jagoda emphasized that students should be careful in monitoring their personal belongings in order to prevent theft. Students and staff who have any knowledge on the thefts should contact the URI Police at 401-874-2121.